The Livestock Pavilion was originally constructed in 1902. 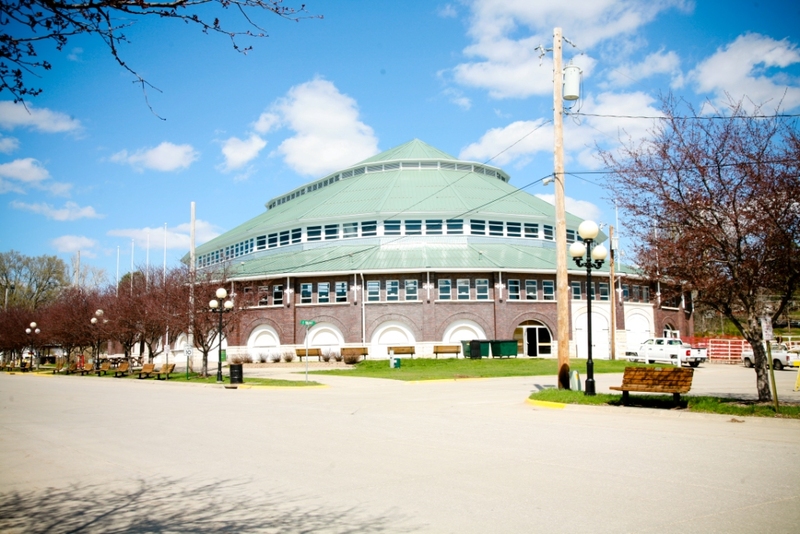 The first masonry building on the Fairgrounds, the pavilion was originally ventilated by a complex fan system that forced in fresh, warm air and drew out foul air at the same time. One hundred and one years later, renovations to the dilapidated building were completed in time for the 2003 Iowa State Fair thanks to an $800,000 donation by Prairie Meadows Racetrack and Casino. The building’s enormous three-tiered roof was also repaired and the inside is now climate-controlled. During the Fair, the pavilion hosts livestock judging, horse shows, and the Governor’s Charity Steer Auction.